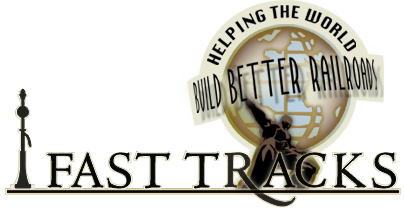 Port Dover, Ontario – February 17, 2017 – Today Fast Tracks announced that it will be buying well known supplier of precision wood products, Mt. Albert Scale Lumber. Mt. Albert Scale Lumber has been the premier supplier of precision wood products for model makers for 25 years. Subsidiary Mt Albert Scale Models has recently announced its eleventh craftsman kit. The company currently serves customers world wide from its manufacturing facility in Stoney Creek, Ontario, Canada. Fast Tracks Hobbyworks, the company that developed groundbreaking fixtures for building trackwork over 14 years ago is excited to be adding the Mt. Albert line of products and kits to their vast line of products. The sale offers an opportunity for both brands to achieve significant growth in their primary markets. This partnership also allows the companies to leverage their strengths and to provide a more complete range of product offerings to hobbyists. The companies share similar premium brand recognition and strong alignment of culture and values. Fast Tracks intends to keep the trusted Mt. Albert brand and product lines. The Mt. Albert catalogue will be integrated into the Fast Tracks excellent ecommerce system, offering the complete line to Mt. Albert’s extensive customer base. Production is being relocated to an expansive new facility in Port Dover, Ontario. Gerry Cornwell will continue to be involved in the development of new kits and will continue to represent Mt. Albert at various conventions. It is anticipated that the transition will be completed in the coming months.